I've described Fushimi Inari (near Kyoto) as my favourite place in Japan. 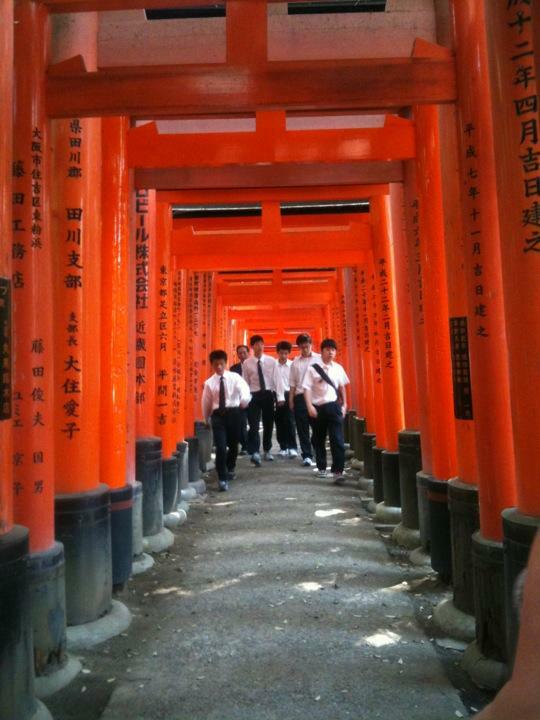 There are thousands of these bright torii gates lined up forming a tunnel. My return visit with Skye didn't disappoint. Inari is also well known as the birthplace of Inari sushi, which are famous around the world as the sweet tofu pockets of rice. I had to have one today in Anari. Tonight, I'm taking Skye for dinner on the Shinkansen to Harborland in Osaka.